As President Trump's policies veer from repugnant to evil, we, as Americans have an obligation to stand up for what is right. As a Returned Peace Corps Volunteer, I've seen up-close the damage the president has inflicted upon our international relations, while I was living in a remote, rural town in Madagascar. Though stationed thousands of miles from the White House, Trump's fickle antics and heedlessness toward the responsibilities of the country, not only tarnish our reputation but threaten the rights of those working under his leadership. In January, I posted a letter to my blog in response to President Trump's comments referring to Haiti and other African nations at “shithole countries.” As a then-Peace Corps Volunteer, the president's words struck a chord with me, as he offended a place I spent three years living in and people that I had become very fond of. The letter quickly became the most popular post on my blog – which I had been updating since the beginning of my Peace Corps service in June 2015 – generating more 6,000 views in the first two weeks of its publication. Its message resonated with readers across the world, those who particularly disagreed with Trump's distasteful commentary. According to the Peace Corps' political expression policy, “matters of official concern” are “those that are related to Peace Corps or U.S. foreign policy, or matters that can reasonably be expected to affect the foreign relations of the United States.” Volunteers are permitted to discuss American politics in the same manner that they would on American soil, unless it endangers the safety and security of the individual volunteer or the post, or impairs the effectiveness of the Peace Corps. Ironically enough, in this situation, the words of the president were arguably causing more damage to the foreign relations of America than my letter was (which I had written with the intention to defend our country's morals and basic human decency). “As you insult this country you’ve never visited and label it as a “shithole,” remember that it is a home to 25 million people—people so kind, I know that if you ever decided to visit, they would call out “mandroso” as a kind gesture to join them over a heaping bowl of steaming rice.” -- "A Letter to President Trump From a Peace Corps Volunteer serving in a 'Shithole' Country." I stood unshakable to my words for weeks as my country director and I struggled to see eye to eye on the issue. Twenty-nine days after the post was published, I was presented an ultimatum: delete the post or be administratively separated from the Peace Corps. As passionate as I felt about my post, I ultimately made the decision to temporarily delete it so that I could finish the third year of my service in Peace Corps, and complete the work I set out to do. Despite my choice, I remained frustrated with the situation that brought light to the reality of our country's current state of affairs – particularly the bullying tactics of President Trump. 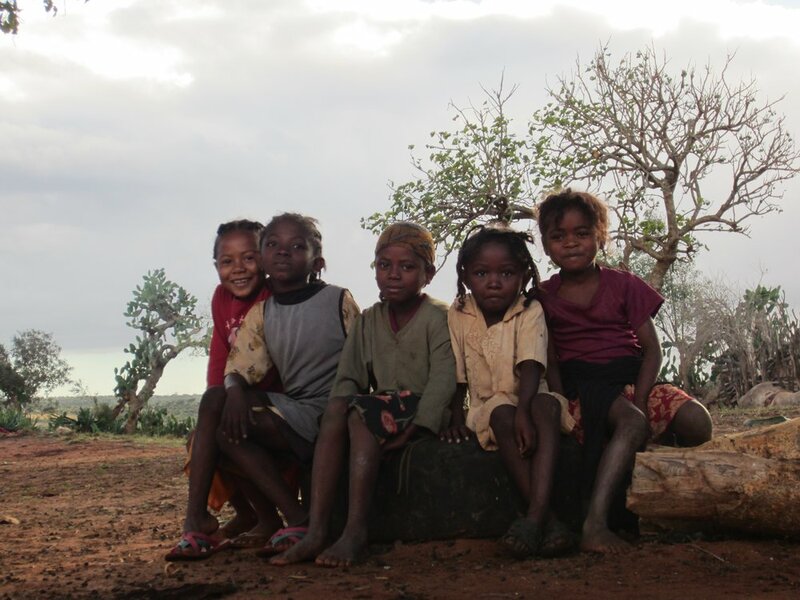 Though written from an island very far from the United States, my blog defending the beauty of Madagascar and dignity of the Malagasy people, along with my freedom of speech, felt the whip of Trump's harsh words and demeanor. I completed my service on August 13, 2018. Now, with a Returned Peace Corps Volunteer status, I have re-posted the letter and am sharing the backstory that I believe needs to be told. And yet, here we are. Even Peac­e Corps and its global ambassadors are bullied by President Trump as he attempts to dismantle the noble pillars our country stands upon. As they foster America's best ideals, acting as diplomats to promote friendship in hidden corners of the world, they offer a different image to the America that many foreigners see when they watch the news or read the President's latest episode of rage tweeting. We now live in a country where our own president is not held accountable for his words, yet a Peace Corps Volunteer can be fired for quoting them. Peace Corps Volunteers have the opportunity to learn the local culture while serving abroad. In 2016, I was welcomed inside the home of a traditional healer to learn about his practice. While oceans may separate currently serving volunteers' work sites and President Trump, his threats hold a tight grip on the organization. Leaders in the Peace Corps tiptoe while making decisions, in fear of a possible budget cut. Of course, as a 57-year-old government organization, it is a responsible and wise to consider our nation's volatile leader while making decisions. But at what cost? In the age of Trump, our country is experiencing behavior never before seen from a president, in all of its history. We must make decisions that mitigate his excesses rather than enable them. As global ambassadors, we must continue to do our work and defend kindness, without cowering in fear of the president's next tempestuous tweet storm. We should especially avoid making decisions that would jeopardize the freedom of speech. Peace Corps was founded on the pillars of peace and friendship in 1961. These are the values we should assiduously promote, particularly in the presence of Trump's critical judgments of those different from himself and the administration's effectiveness in turning the president's instincts into public policy. I hope we, as Americans, always have the courage and freedom to defend our truth and continue to promote the values we are proud of, especially peace, friendship, and our freedom of speech.